Our off-the-shelf databases are designed for doctors. 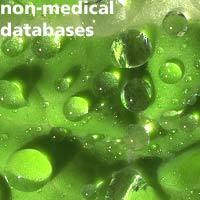 However, if you require a customised non-medical database built from scratch we can help. All we need to know is what type of information you wish to store. From that, we can formulate a quote and design the database accordingly. If you wish to have network capability we can also organise this. Please note all our databases run on Windows 95/98/2000 and newer, so compatability is never a problem!